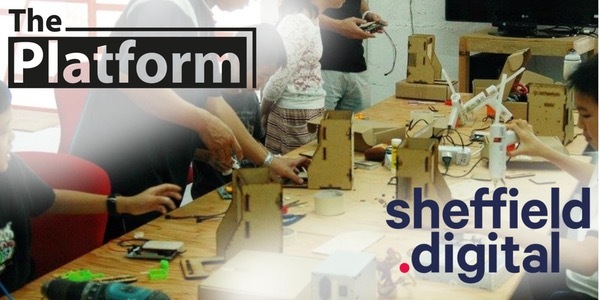 The Platform is a series of regular events hosted by the Showroom/Workstation for people in the creative industries to present and talk about their work. 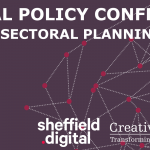 They usually take place on the last Thursday of the month, and for the March event Sheffield Digital were asked to curate the programme (we’ve done this several times before and will be doing another in May, so stay tuned!). For the March event we wanted to showcase the burgeoning maker scene in the city and invited some of the people who run spaces in Sheffield where people can go and learn how to make things. There are now many of these spaces to choose from and each of them caters to different kinds of maker, and has different cultures, methods, facilities and costs associated. So the intention was to find out more about what they each do, how they differ from each other and how people can get involved. So, here is some information on each of the spaces that spoke at the event, along with their presentations. Sheffield Hackspace is run by Sheffield Hardware Hackers and Makers CIC and is a non-profit, member-run hackspace in central Sheffield. Membership and drop-in at certain times. Access Space is an arts and education charity established at the turn of the millennium and, since 2012, has been running Refab Space: a DIY FabLab for artists, business start-ups and the community as a whole to try out new ideas and products, as well as for repair and recycling. The RoCo is a creative co-operative that provides studios, event spaces and shared co-working, along with a a cafe bar, design store, gallery, creative bookshop and a deli & craft beer shop. It is in the process of developing a new makerspace, along with Tom Tobia who founded Makerversity. 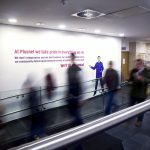 Eagle Lab Live is a month-long pop-up makerspace developed by Barclays, who run a number of permanent Eagle Labs across the country and are looking to set one up in Sheffield, in partnership with Sheffield Hallam University and ObjectForm who provide specialist 3d printing services. Eagle Lab Live is running from the 27th March until the 20th April – check their website for the list of activities. Learn Create Sell is a social enterprise that supports local unemployed creative people to learn digital fabrication, create personalised products and sell them online, in the on-site shop and at the city’s frequent night markets. The organisation was set up by the Hantu Collective and Aalfy, and has a number of local supporters.